One of the most decorated rowers of her generation, Katherine “Kat” Copeland is an Olympic lightweight women’s double scull champion who competes with partner Sophie Hosking. The pair picked up their gold medal at the London 2012 Games with a victory time of 7:09.30, beating nearest rivals China by two seconds. As such Kat is a highly determined figure who really has an inside track on what it takes to make it at the top of world sport. She talks about this, along with various other informative and engaging subjects, at a range of after dinner speaking events, while she is also a fine role model and brand ambassador. Raised in North Yorkshire, Kat had plenty of success in various youth competitions despite only seriously taking up the sport in 16. In 2011, Kat raced in the lightweight women’s single scull at that year’s World Rowing Championships, which took place in Amsterdam, and she picked up a gold by a clear margin. 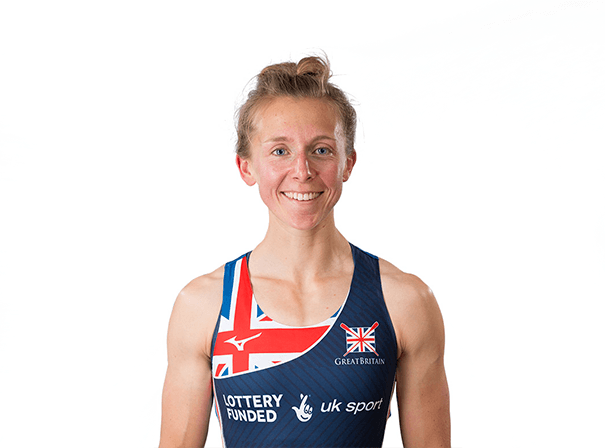 Soon after she raced in the same boat type at the World Rowing Championships in Slovenia and again qualified comfortably before finishing 5th in a very close field. Away from her racing on water, Kat is a confident and energetic person who always strives for excellence in everything she does. Because of this she is passionate about sharing her experiences with a range of audiences in a range of situations and frequently speaks at schools, clubs and businesses.